In this activity we will explore the connections between music of Africa and the music of North America. However, it is important to remember that African musical traditions also impact musical practices and expressions in South America, the Caribbean, Europe and western Asia. The connections we make between music in Africa and America will have similarities with the connections that African music has elsewhere in the world. It is important for this section that we understand fully the process of cultural diffusion, because we can then look at music as an early sign of general cultural diffusion. To examine this process, we will need to look at what qualities of African music have been inherited in America. The slave trade brought Africans to the Americas to work in the plantations. In some states in the U.S., early European settlers and slaves shared some of their musical traditions and influenced each other’s world. The banjo, now central in American folk music, is an instrument brought over to the Americas by African slaves. In other states, the music of African slaves was banned unless it accompanied an approved religious activity. Drums were banned because they were seen as especially dangerous since drum sounds were linked to language and gave slaves a way to communicate that could not be controlled or understood by slave owners. To compensate for a lack of instruments, people who were enslaved relied on other forms of musical expression. “Hambone,” a style of body percussion, was used as a substitute for drums, as it served a rhythmic function for music. To play hambone, a person uses his or her hands to hit the chest and thighs to create different slapping sounds. Playing household objects also became necessary. Just as instruments were made in Africa from natural materials that were available to people when they were free, enslaved Africans used the resources available to them in their environments. An example of this is the playing of spoons, another type of body percussion. Vocal traditions also flourished among African people under slavery. Songs were used to soothe the heart and send messages of possible escape routes. Current music forms such as the Blues, Soul and Gospel grew out of the strong vocal traditions of early African Americans. First, the development in the 18th and 19th century of an indigenous black folk music from African and European –American elements. Second, the rise of instrumental music in urban areas after the abolition of slavery from other African-American traditions, notably plantation and minstrel songs, ragtime, and blues. Black Americans were becoming well versed on instruments that were brought from Europe, such as the piano and horns, applying an African rhythmic sensibility, percussiveness, and need for improvisation to the playing of these instruments. Third, the appearance of jazz itself, merging blues, ragtime and mainstream popular music. The attraction to jazz lies in its particular combination of rhythm, melody, harmony, and instrumental sound. Jazz is often referred as the combination of Ragtime, marching brass bands, and blues, with structural space for improvisation. In the process of diffusion and the development of jazz, different styles emerged such as Swing, Bebop, Funk, Cool Jazz and Fusion. Jazz is a style of music that has traveled back to Africa along with the influence of American artists like Herbie Hancock, Don Cherry, and Louis Armstrong. African jazz and funk artists such as Manu Dibango, Fela Kuti, and Abdullah Ibrahim have all been influenced by American jazz. Just after the civil war in the United States, a popular musical tradition known as The Blues developed out of field hollers and prison songs. Though African Americans were legally free at this time, the work that was available to them was hard, heavy work for which they were paid very little. Men labored in fields for farmers in exchange for a small plot to plant, or they helped with civic projects such as building levees to prevent rivers from flooding. It was common in those days for prisoners to be locked together with chains for labor projects such as pounding rocks into gravel. The rhythms of these types of labor served as backdrops for songs about suffering, poverty and women. The term “Blues” itself refers to a state of mind that suggests sadness, struggle and suffering. Many of the songs contain lamentations about life in the plantations and the suffering endured by the slaves. Blues instrumental styles show links with African music. Stringed instruments such as guitars and one-stringed bows are used with bottle necks to provide a singing-type sound on the instrument, and a Blues singer will utilize the Call and Response musical form to play a song with his instrument. Gospel is a body of religious song that is prevalent in North America and has captured the attention of both the young and old audiences throughout the world. Gospel reflects aspects of the personal religious experiences of Protestant Evangelical groups, both black and white. If you remember Rev. Andrea Chrouch and Jimmy Swaggart, they both represent two streams of gospel in North America. Black gospel music exhibits the African connection of gospel music to the continent and its people. This music draws from both white and black sources. The black influence can be traced to spirituals, which were sung in service meetings attended by slaves. This genre represents an adaptation of African ways of singing to hymnody. This can be noted in the use of syncopation and re-accentuation, flexible inflections and blue notes, and Call and Response delivery. Black gospel is one genre that coincided with the beginnings of Ragtime, Blues and Jazz and the rise of the Pentecostal churches at the end of the 19th century (Groves Dictionary of Music and Musicians, p.177). Rock and Roll is another product of African musical traits brought here beginning with slavery which combined with European music brought here by the colonists. It is a musical genre that has been popularized by North America, Europe and Asia. It is often described as beginning with Bill Haley and His Comets and includes scant information about the blues and rhythm records that he, and others, used as a model. The most popular artist associated with this genre is Elvis Presley who had this hit song: “Good Rocking Tonight”, originally Wyonnie Harris’ 1947 song. African American Rock and Roller, Chuck Berry, was also very popular during Elvis’ time, but not as popular, many say because of his race. Elvis made Rock and Roll safer for white audiences, even though his dancing was controversial. The African musical influences in Rock and Roll can be traced back to the plantation songs of Stephen Foster, the ragtime of Scott Joplin, the blues of Bessie Smith, the jazz of Count Basie, and the jump bands of Louis Jordan. The knowledge of the stream of American popular music allows one to understand that rock and roll was a natural result of the combined forces that affected the music. Hip-hop has come to represent a collective term for Black American urban art forms that emerged in the late 1970’s. The music of hip-hop culture is rap music, which combines poetry with instrumental rhythms and contains a certain level of competition among artists. It is characterized by semi-spoken rhymes declaimed over rhythmic musical backing, drawn from the sampling of pre existing recording and used of DJ mixing techniques (Grove’s Dictionary of Music and Musicians, p. 829). It is a vocal style that was developed in Jamaica when DJs would talk over the Reggae Dub music they played for their audiences. Jamaican immigrants to New York City in the late 1960s and early 1970s brought this musical practice with them, and young urban black Americans adapted it to their situation. Funk and soul tracks were used as the musical backdrops for this new American sound. Groups such as Run DMC and Afrika Bambaata are some of the early artists that popularized hip-hop in America. Recently we have seen that the influence of Hip-hop has reached back to Africa, with the emergence of similar styles such as Kwaito of South Africa (Arthur is a popular artist) and the new generation of Afrobeat in West Africa (like Fela Kuti’s son Femi Kuti). How does jazz connect European, American and African Music traditions? 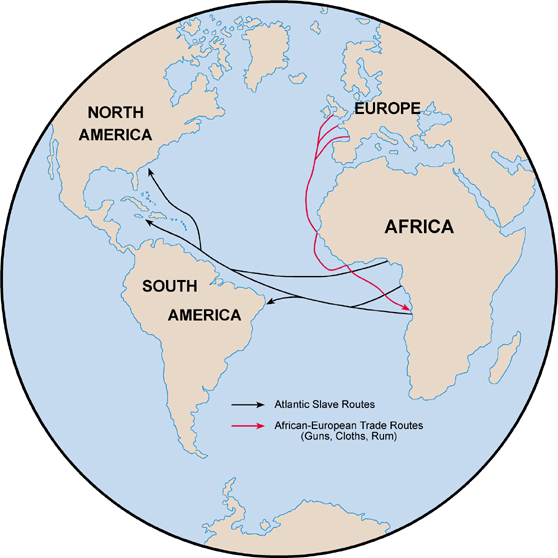 How did the slave trade contribute to this cross-cultural exchange? Is there evidence to suggest that blues came directly from Africa? Mention four ways in which slaves used songs. List three contemporary popular African musical styles or artists that have been affected by diffusion of American music back to Africa. You can expand your knowledge about the role of music in African societies and what types of music are popular in Africa at this time by visiting websites that cover African Music. This activity is designed to be an individual or group activity that could be done at home or as a class activity. Here is a short list of web sites that students and the teachers could visit for sound clips and visuals of African instruments and musical practices. 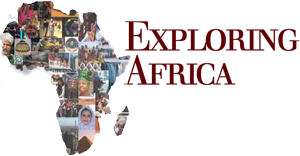 Most of these sites are educational and commercial sites with information on musical practices in the different regions of Africa and world music. This offers a rich visual and sound source on Africa. It is part of the library collection of the University of Wisconsin. Most of our listening will be coming from this source and recommended for use with classes especially for listening purposes. This site tells you how to get connected to African radio programs and highlights much of the current popular music in Africa. This one shows how traditional African dance has affected all of American culture. This is the final activity in this module. Return to the curriculum, go on to Module Fourteen, or choose from one of the other activities in this module.